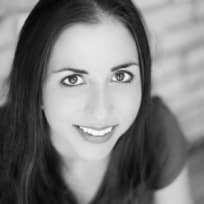 Shaina Olmanson is the cook, freelance writer, and photographer behind Food for My Family, which was named one of the top ten Top 100 Mom Food Blogs by Babble.com in 2010, 2011, and 2012. She is the author of Desserts in Jars: 50 Sweet Treats that Shine, has served as the food editor for Lifetime Moms and daily contributor to Babble's Family Kitchen, and contributes regularly to FoodYourWay.net and SimpleBites.net. She lives in Minneapolis, MN with her husband and their four kids. Farro arugula salad is one you don’t want to miss! 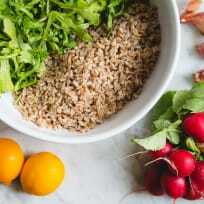 It’s a quick and easy recipe that combines nutty farro with spicy arugula, spring radishes, and a lemon dressing. It's a great side, and with a can of chickpeas stirred in or ran egg served on top, it makes a fast lunch, too. The cookie-baking season is upon us. Looking to add a few new cookies to your Christmas cookie tray this year? Here are 15 Christmas cookies worthy of gracing your holiday tray. 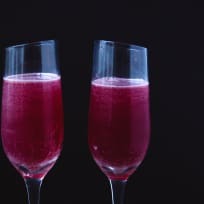 This cranberry aquavit cocktail pairs aquavit and cranberry simple syrup with champagne bubbles for a winter and holiday party-ready drink. It's sweet, spicy, and red-hued for the holiday. Hurry and grab the recipes for these last-minute side dishes that anyone can make for tomorrow's Thanksgiving dinner. 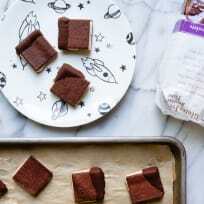 These gluten free chocolate banana ice cream sandwiches use only four ingredients! You’re on your way to taste bud heaven thanks to PARTNERS Free For All Brownie Thins! Arrabbiata Sauce elevates Monday night to a new level. This spicy sauce, paired with spicy sausage and creamy ricotta, makes for a perfect dinner. Grilling season is officially here, and we have the recipes to help you get grilling this Memorial Day. Quick and easy Mother's Day breakfast recipes that dad and the kids can make on their own. Easter is the time to get your brunch on. Like you needed a reason. The Le Creuset 5 Qt braiser is large enough to cook for a big family at once. From stovetop to oven to table, this is one beautiful piece of cookware.